A glimpse yesterday, from a window in the misleadingly named Castel Nuovo (New Castle), of a ferry arriving in the harbour of Naples. The castle, not so new, was finished in 1282 to protect the port of the new Angevin capital of the Kingdom of Naples. More pictures below. Snapped this at the weekend from the Certosa di San Martino. Naples has had very unsettled weather recently with the surrounding hills and mountains all dusted with snow. When it comes to traveling across Europe, most tourists come equipped with a checklist of must-see places: London, Paris, and Rome, among others. Meanwhile, lesser-known cities remain under the radar for most travelers—but bypassing these “second cities” would be a mistake, as these destinations offer distinctive cultures and histories that are worth experiencing firsthand. And Naples is on the list. 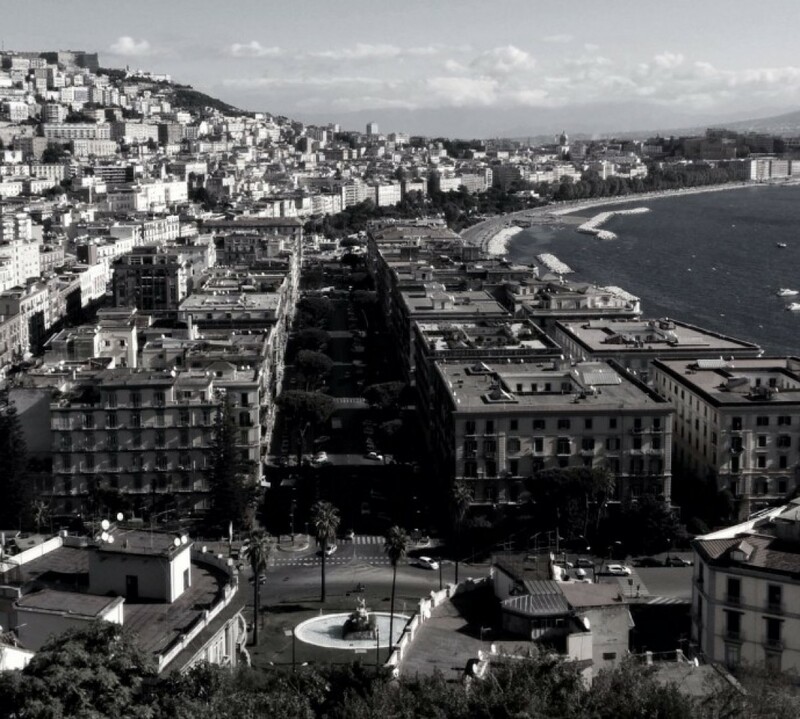 See the Fodor’s Travel Guide to Naples here. “Built like a great amphitheater around her beautiful bay, Naples is an eternally unfolding play acted by a million of the best actors in the world,” Herbert Kubly observed in his American in Italy. Giuseppe Ungaretti was a leading representative of the Hermeticism school of poetry, which believed that punctuation should be erased, meaning obscured, words reduced to essentials and compositions be as brief as possible. He wrote this in the trenches of northern Italy in 1917 and it is perhaps the most famous modern Italian poem. Photo via David Stephens on Flickr.